Welcome to Christian Brothers Roofing, a roofing company offering comprehensive services where no concern is too small. As a family owned and operated company, we value fair, accountable business. We treat our customers the way we would want ourselves, our closest relatives, and our friends to be treated. 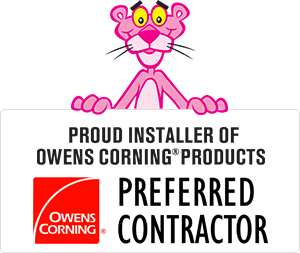 Christian Brothers Roofing is an Owens Corning Roofing Preferred dealer, meaning we have been recognized for our skills in the industry by one of the best manufacturers in the industry. In addition, we feel that our high level of positive customer reviews says a lot about our business model. Whether you need roof repairs, a new roof installation, a roof inspection, or a commercial roofing project, we will devote our full attention to the task. Most of our business is conducted through referrals and word of mouth, and we greatly appreciate the faith our customers place in us and our work every day. Browse our website to discover more about our services and values, or contact us today to schedule a free cost estimate! We offer our roofing services to customers in Atlanta, Smyrna, Gainesville, Mableton, Tucker, Kennesaw, Peachtree Corners and areas nearby. Roof damage, no matter what kind or amount, is stressful for any homeowner - it's one more thing to think about, and delaying repairs can only lead to more problems down the road. Working with the knowledgeable, friendly contractors at Christian Brothers Roofing will make the process easier. We care about your well-being, and we will do everything in our power to give you the roofing solution you need on time and on budget. We can fix your wind and hail damage, patch up any roof leaks, get rid of wood rot, or install a brand new roof with superior function and beauty. We also provide comprehensive roof inspections to assess the condition of your roof and ensure that it's functioning to the best of its ability. Ready to get started on your roofing project? Call us at 1-770-734-6700 or contact us online to schedule a free cost estimate! We offer our services to residents of Alpharetta, Roswell, Marietta, Smyrna, Atlanta, Mableton, Gainesville, Kennesaw, Peachtree Corners, Tucker, and areas nearby. Christian Brothers Roofing is an independent contractor and is not an affiliate of Owens Corning Roofing and Asphalt, LLC or its affiliated companies. THE PINK PANTHER ™ & © 1964-2019 Metro-Goldwyn-Mayer Studios Studios Inc. All Rights Reserved.